Atop the metal base area unit placed good white kundan teardrop formed stones with their tips facing inwards towards associate oval central piece. The ring is on the market during a normal adjustable size. 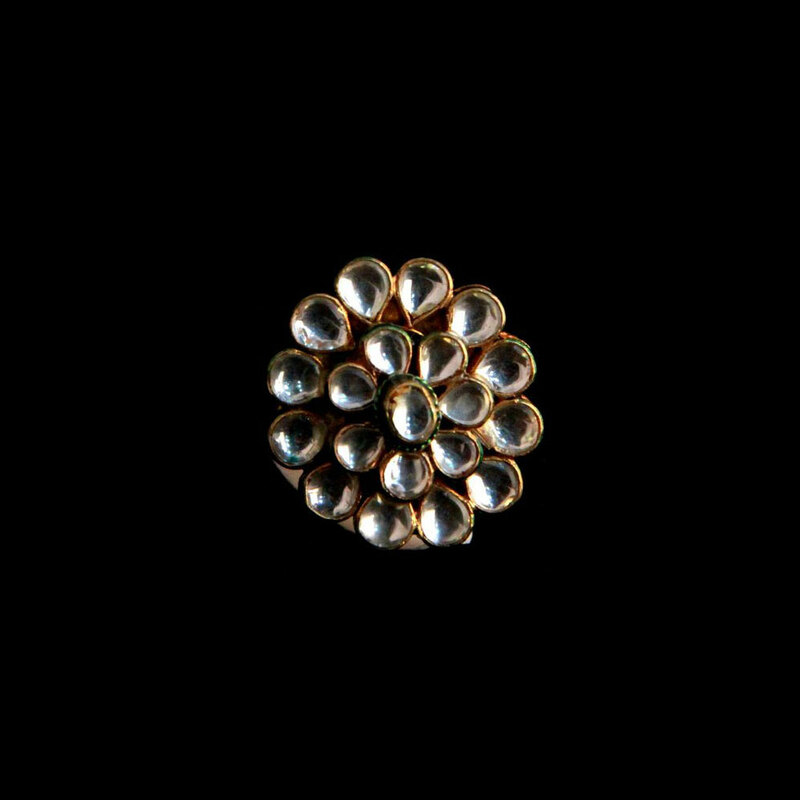 The elegantly designed kundan ring has been molded from the base metal of brass layered with micro gold plating. Atop the metal base are placed Read More..brilliant white kundan teardrop shaped stones with their tips facing inwards towards an oval central piece. The ring is available in a standard adjustable size. Show Less..